The National Labor Relations Board (NLRB) has affirmed the decision of an administrative law judge that labor unions violated federal labor law by engaging in coercive activity directed against ICTSI Oregon, Inc. at Terminal 6 at the Port of Portland. This is the second time in ten weeks that a ruling was issued against the International Longshore and Warehouse Union (ILWU International) and ILWU Local 8 (Local 8). The NLRB concluded that, between September, 2012 and June, 2013, ILWU members worked in a deliberately slow manner and otherwise interfered with productivity at Terminal 6 and that the ILWU International and Local 8 were responsible for this illegal conduct. "The importance of this ruling should not be underestimated. 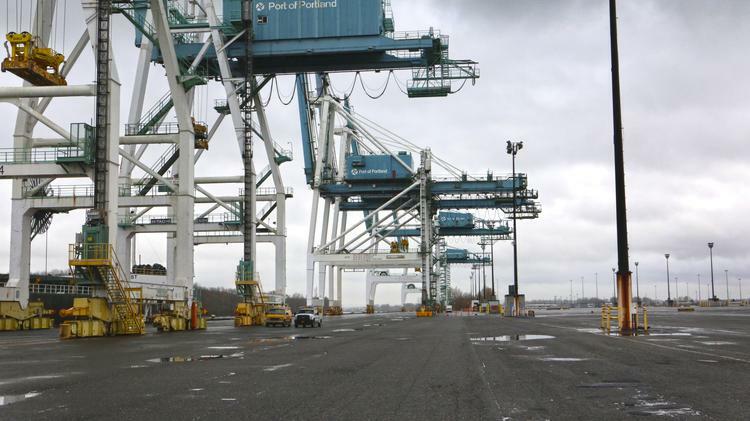 Once again, the NLRB, a neutral federal agency charged with enforcing the nation's labor laws, has found that the ILWU's slowdowns and other efforts to interfere with production at Terminal 6 were illegal," said ICTSI Oregon president Elvis Ganda. He added that "it is time for the ILWU to accept the validity of the NLRB's decisions and to work in a constructive manner with both ICTSI Oregon and the Port of Portland to get Terminal 6 back to full productivity, which is critical to our region's economy." The NLRB's order affirms the decision of Administrative Law Judge Jeffrey D. Wedekind. ICTSI said earlier that it has successfully lobbied for the introduction of The Preventing Labor Union Slowdowns Act of 2015 (PLUS Act) in the United States Senate. The firm said the PLUS ACT will help prevent the type of maritime labor slowdowns at the Port of Portland and 28 other West Coast ports that disrupted domestic and international trade and nearly brought the US economy to a standstill earlier this year. The measure would amend the National Labor Relations Act (NLRA) to make intentional slowdowns by maritime unions an unfair labor practice. Offending labor organizations would be subjected to federal court injunctions against slowdowns as well as damage claims to injured parties. ICTSI explained that "intentional slowdowns are orchestrated campaigns by labor unions such as the International Warehouse and Longshore Union (ILWU) to essentially engage in a strike with little or no cost to their members." In contrast to a formal strike, however, union workers continue receiving full pay and benefits, even as they inflict significant damage on the local, regional and national economies.